Hundreds of points of data, multiple integrations and an amazing central marketing dashboard. Sounds like a pipedream right? 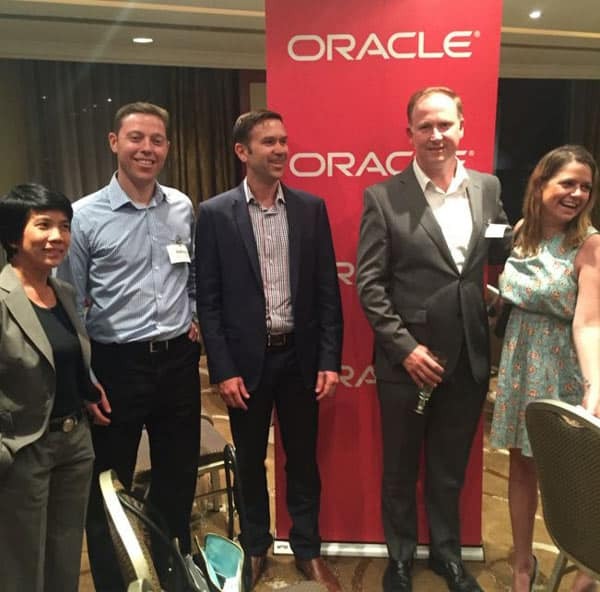 Last night, on a hot summer’s night in Sydney, the Marketing Cube team and Oracle, hosted an event with the team who did all of the above for the iconic Melbourne Storm Rugby League team. Vanessa Harford (Marketing Solutions Manager at DCA) and Mike Billing (Former Marketing Director at Melbourne Storm) were the headline speakers. They took us through the vast and wide world of Marketing Automation Success, Big Data and a whole lot more. The task they were set a few years back was to take hundreds of thousands of points of data across a vast pool of collection points and compile all the information into a single marketing dashboard. So let’s take a look at the key lessons gained from an hour with Mike and Vanessa. For nearly every company out there, the quality of your data is your number 1 priority. From when you collect names and emails on your high converting landing page to when people register for an event, the quality of that information is priceless to your marketing campaigns. Not only that but removing redundant systems and being able to store and access all this data in one central, convenient point is key. Imagine if you and your marketing team were able to make decisions from real-time, accurate data. How much of a difference would that make? What blew me away was their data-driven approach was able to drill down to the actual seats people were sitting in and identify what they were likely to spend money on, at different times of the game. To take it one step further, they were even able to work out the % increase in spend if the Storm were winning or not. By understanding the Big Data that was driving people to turn up to games, register for membership and purchase food and drink during the game, they were able to tailor a loyalty program that resonated with their most loyal fans. 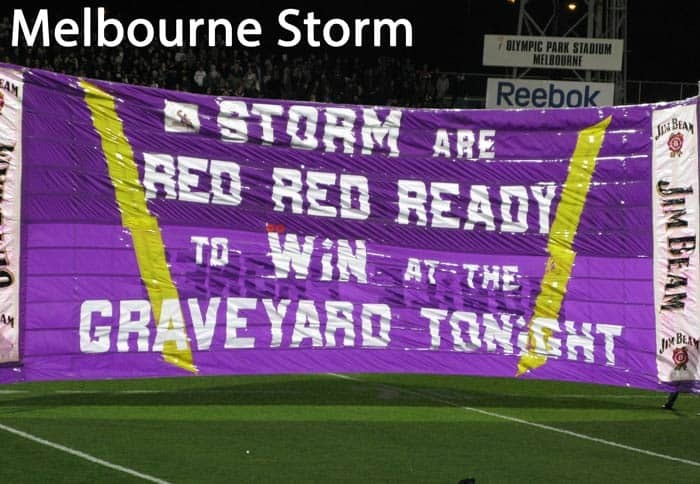 This data driven exercise enabled them to create campaigns that ran hot with their most dedicated fans, driving 10’s of thousands more engagements with the hope of landing the ultimate prize of touring with the actual Melbourne Storm. Can you imagine the goodwill and social engagement you could get with a raving fan who got to tour with their beloved team? Amazing right? Let’s face it. A lot of what we do as marketers are pretty repetitive and can and should be systemised and built into a process that can be run by someone who doesn’t have to do a lot of thinking. For example, a McDonald’s franchise can turn over millions of dollars per year and can largely be run by teenage kids. How much of your day to day activities have you managed to write robust processes around and build into systems? Michael Gerber’s e-Myth book is one of the most profound books that delves into the entrepreneurial dream and how important it is to think regarding the ‘Franchise Prototype’. We all need to think of being able to turn our day to day activities into repeatable systems that we can teach others so we can move out of the ‘junior’ roles and work on the important task of working on the business, not in it. In addition to that, Marketing Automation can automate your marketing communication. Now imagine being able to automate those segments by running them weekly and a specific nurturing campaign gets sent out automatically. Kind of cool right? That’s the power of Marketing Automation and a robust platform like Eloqua from Oracle. Melbourne Storm isn’t the only ones getting involved, with the Cronulla Sharks recently announcing they are investing in a new marketing approach using Marketing Automation. Sponsoring a sports team is the dream of so many entrepreneurs. You only have to look over at the Football teams in Europe, the basketball & gridiron teams in the US and of course our own Russell Crowe and the South Sydney Rabbitohs, to see the joy of owning and running your sports team. Now the success of your sporting franchise is incredibly dependent on your ability to secure big-ticket sponsors. The likes of Telstra, AGL, Harvey Norman, Holden, Coca-Cola, AAMI all have a stake in the ultimate success of the NRL and the teams who are competing. Do you think the information you could provide the potential sponsor would help you secure more sponsorship dollars? Of course, it would. Big Data can do that plus lots more. To be honest, I learnt a lot more than these five key lessons, but broadly speaking, they were the big ones. What was most impressive, is they were able to compile this incredible array of data into a single sales and marketing dashboard, highlighting all the key sales and marketing metrics and updating in real time. Incredible. The digital world of marketing, analytics and Big Data will continue to evolve. Now’s the time to get your feet wet and see how you can maximise the performance of your marketing and increase your bottom line profits. Good luck.